We use our termbases (glossaries) and translation memories (TMs) that we prepared in advance (through our previous translations) to speed-up our current translation. 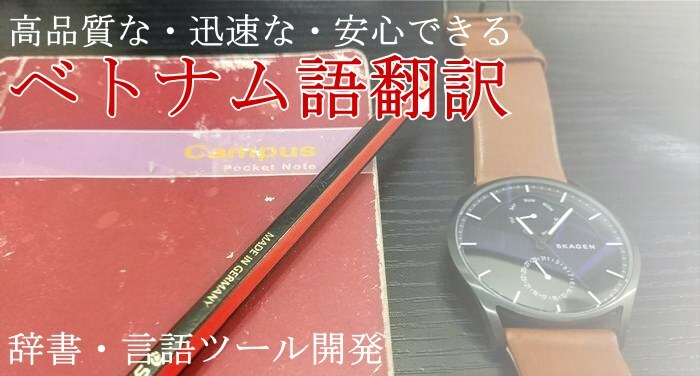 After finished our translation, or in the middle of the translation, we want to update it to our TM to utilize in the future. 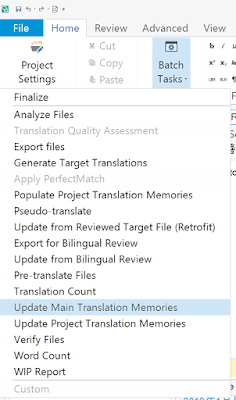 Here' show to update our translation to Translation Memory (TM) in Trados in several simple steps. 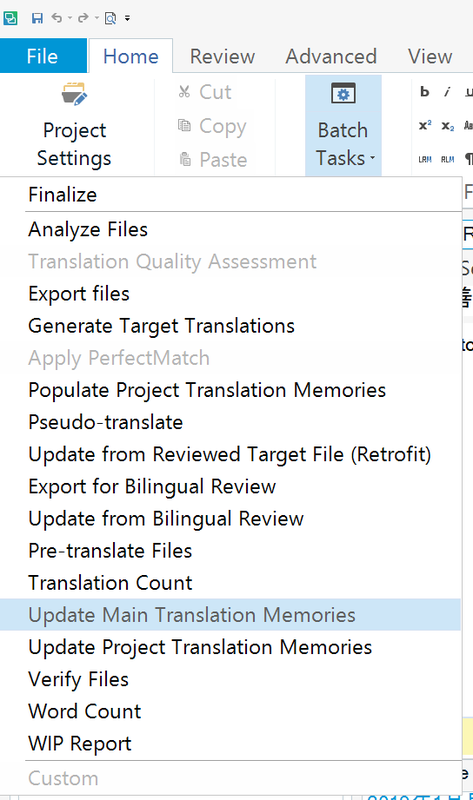 I choose "Update Main Translation Memories" (the TM that I used from the beginning).